Do You Know Which Coca-Cola Product's Sales Are up 400% in 6 Years? Coca-Cola is more than soda; it is a global beverage business with multiple non-carbonated billion dollar brands. Most investors think of Coca-Cola (NYSE:KO) as a soda company. But did you know that 8 of Coca-Cola's 10 most recent billion dollar brands are not carbonated? The company has done a fantastic job of positioning itself as the global leader in non-alcoholic beverages instead of only sodas. The company's little known Venturing & Emerging Brands (VEB) division has one mission: to identify and build the company's next billion dollar brand. Since VEB's founding in 2007, the division has made several notable acquisitions and partnerships. 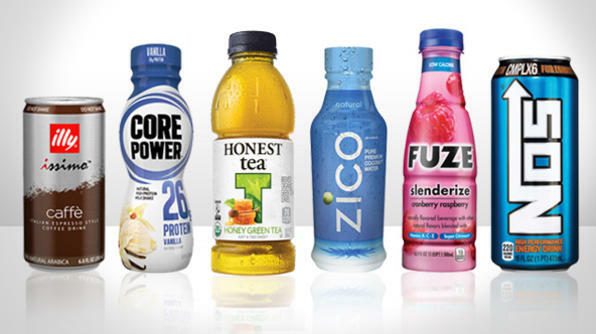 Honest Tea, Core Power, Illy Issimo, Zico, Fuse, and NOS are all brands the company has acquired, partnered with, or developed. Honest Tea in particular has been very successful for Coca-Cola. Remember the title of this article? Yep, Honest Tea is the brand that has grown sales from $25 million per year in 2008 when Coca-Cola acquired the company to $100 million per year just 6 years later. Honest Tea has grown tremendously due to the rising popularity of ready-to-serve coffees and teas. The Honest Tea brand appeals to younger, health-conscious consumers who need a pick-me-up but don't drink sodas. It feature healthy ingredients, very low amounts of sweeteners, and catchy fortune-cookie-esque sayings inside bottle caps. Coca-Cola's Honest Tea brand has many years of growth ahead before it achieves $1 billion dollar brand status. Sales will likely not continue at near double digit growth. With that being said, growth of Honest Tea sales will far outpace growth of Coca-Cola as a whole over the next several years due to slow soda sales. Coca-Cola has been focusing on still beverage growth over the last decade due to the slow decline of soda sales in the US and Europe. Soda sales are still rising internationally as Coca-Cola increases market penetration in the developing world. Coca-Cola is experiencing solid still beverage growth, which is compensating for lackluster sparkling (carbonated) beverage growth in the developed world. The company is seeing the strongest growth in developing markets, where still beverages are growing at double digit growth rate. Coca-Cola has captured a stunning 33% of global juice growth since 2007. 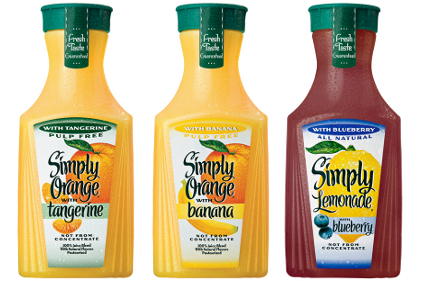 Coca-Cola's juice growth is being lead by it's Simply juice line's continued success. The Simply brand is now one of Coca-Cola's 17 brands with $1 billion or more in sales annually. In total, Coca-Cola has 11 billion dollar still (non-sparkling) beverage brand, versus only 6 soda brands with $1 billion or more in annual sales. The company's largest still brands are listed below, along with the region they are most associated with. Over the last decade, Coca-Cola has allocated capital efficiently. The company has achieved compound revenue per share growth of over 9% over the last 10 years. Shareholders of Coca-Cola can expect to achieve a CAGR of 8% to 11% going forward from dividends (3%), share repurchases (2%), and organic revenue growth (3% to 6%). Coca-Cola is a fantastic business with multiple world class brands. The company makes an excellent long-term holding for dividend growth investors due to its stability and future growth prospects. Coca-Cola has a very long growth runway ahead in the still beverages category. Shareholders of Coca-Cola will benefit from globalization as Coca-Cola further penetrates emerging markets.